In sewage treatment, there are three different stages that sewage water will go through; Primary, Secondary, and Tertiary treatment. Within each of the stages, there are different processes that will take place in order to treat the water. Let’s have a look on how sewage water treatment plants work. Primary treatment is a sequence of processes that have been designed to remove larger objects, such as leaves, branches, and any rubbish, that could easily block pumps and sewage lines. This treatment begins with screening, where all of the sewage water will pass through a screen in order for the larger objects to be caught and the remaining to pass through. The sewage water will then pass through a process to remove any sand, dirt, and glass. These items could damage the sewage lines and need to be removed. In the case of a smaller treatment plant, this step may not take place. 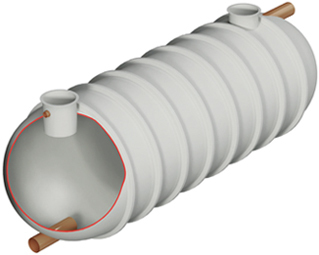 Within primary sewage treatment, tanks are used in order to hold the sewage water for a period of time to allow any sediment or sludge to settle at the bottom. Once the sludge has settled, it can then be scraped off the bottom and collected. Any grease and oil that is contained within the sewage water will rise to the top of the tank and can then be skimmed off. Secondary treatment is a series of processes that will begin to breakdown the contaminants within, such as bacteria, and content of the sewage water, such as human waste, different soaps, and food waste. Chemicals are used in order to begin this breakdown process, and will begin to consume the waste and soap and turn it into much smaller pieces that can then be filtered out. Biological treatments are also used during this stage to treat the growth of bacteria and other contaminants. The remaining sewage water will then pass through a clarifier, which will leave sewage water that contains considerably less waste. Tertiary treatment is the final step in the process of treating sewage water. There are several different processes that will take place during this treatment in order to remove remaining matter and potential toxins, including filtration, carbon absorption, dechlorination and flocculation. There are certain elements, such as phosphorus and nitrogen, that are in quite high concentration in sewage water. Both of these need to be removed before the process can be considered complete. In order to remove them, different biological treatments are introduced into it, which will then work to reduce and eliminate both the nitrogen and phosphorus, as well as any other substances. Once the treatment has been completed, the water will then need to be disinfected. This step is designed to remove any other microorganisms that exist. This needs to be done before the water is released, as it will eventually end up as the clean water you use on a daily basis.